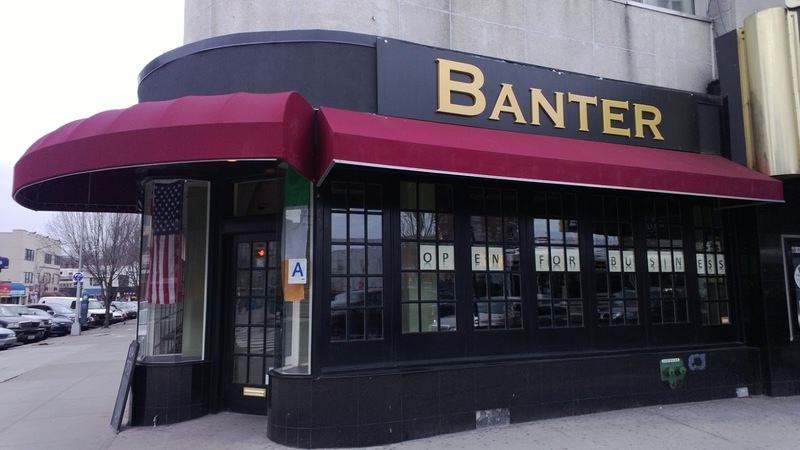 Twice this week I headed over to Queens Boulevard to try out Banter, the brand-spankin' new Irish restaurant/pub that takes over the Old Vienna Cafe space. Immediately there's one thing that Banter has going for it that Old Vienna was sorely lacking. CUSTOMERS. Both nights that I visited, once with Pike and once with Seth, a buddy from out of town, I was glad that we arrived early because later on getting a table would be tricky. And I thought the location was cursed. I won't lie. When I heard that Banter was going to be an Irish place, I thought it was a failed plan. 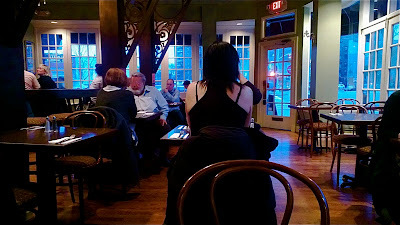 Irish Cottage, an established Irish restaurant with loyal regulars and decent food was only a block away. Well, providing that the crowd flooding Banter aren't just people being curious, I admit being wrong. Banter has managed to create a completely different feel. 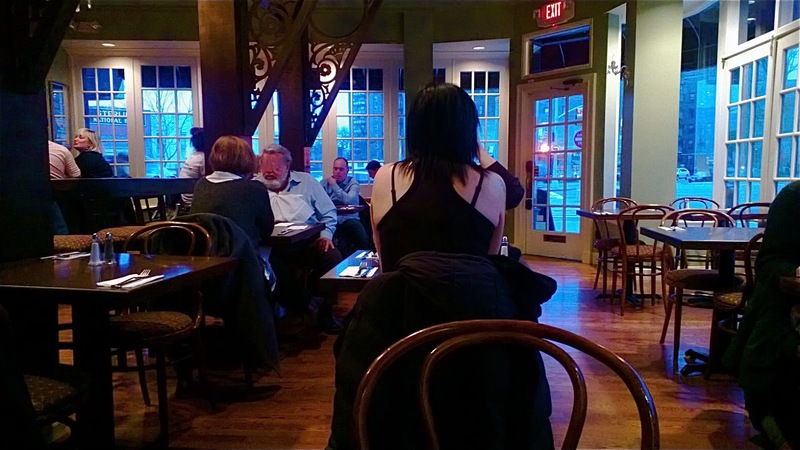 Where Irish Cottage is dark and "traditional", Banter's floor to ceiling windows and less claustrophobic space make it brighter, even when they dim the lights. My only complaint about Banter's interior is that if you sit at a table right beneath the long bar-like table opposite the actual bar, you kind of have another diner hovering directly over you. Some kind of screen that would be nice. In any event, come warmer days, when the sidewalk tables can open up, I expect it to be an extremely pleasant place to go. Banter has about a dozen beers on tap, which they'll serve in a cutesy Williamsburgesque mason jar, but none of the beers are terribly unique. Brooklyn Lager and Smithwicks and Guinness and... Miller Lite. No microbrews, no cask ale (but Corona in a bottle? Tsk tsk). 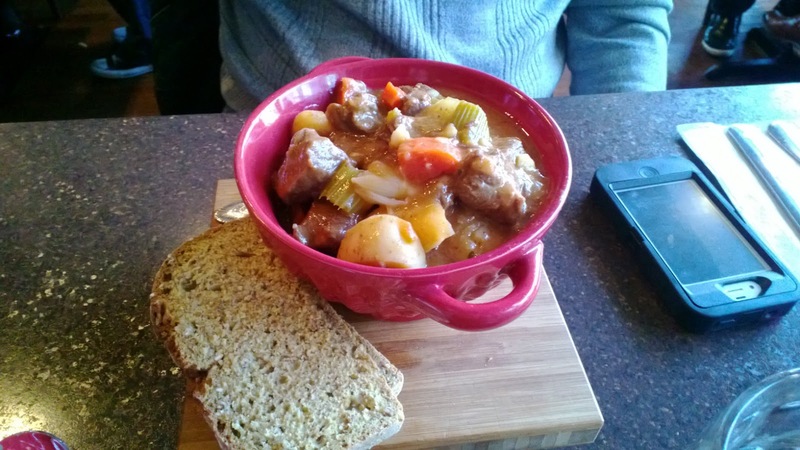 The food is also about what you'd expect from an Irish restaurant. 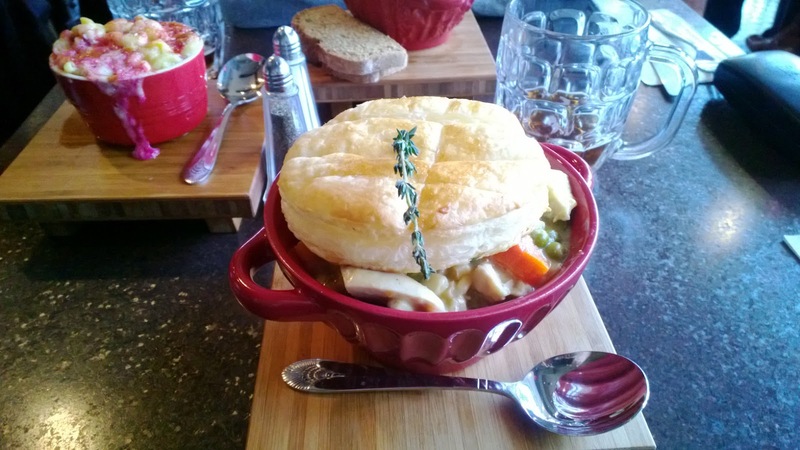 Pot pies and burgers and fish n' chips and salads but Banter does give a little bit of artsy flair to the presentation, which I always enjoy. So what did we eat? On my first trip with Pike, I started with the Jameson Spring Rolls, whiskey marinated steak with tomato and onion in a deep fried asian-style spring roll. This was awesome, like an empanada that spent the last twenty minutes doing blow in the bathroom. If you order it and don't like it, save it and give it to me. Pike ordered the Banter Mussel Bowl. It comes with a choice of broth: curry or Guinness. He went with curry and it was also amazing. I stole a few, but they were legitimately inhaled. "This either needs way more bread or a spoon. I can't stand seeing this broth go to waste. It's too good. Hell, just put it in a bread bowl." On my second voyage, I partook of the Baked Guinness Mac and Cheese: smoked bacon and and Irish cherry wine cheddar baked crust. Banter scored another hit. The pasta was a little al dente for my taste and I'd have chosen a softer cheese than cheddar, but you know what? Though I've never seen a syrupy wine used to top macaroni and cheese, it worked. Overall, I was less blown away my the entrees. 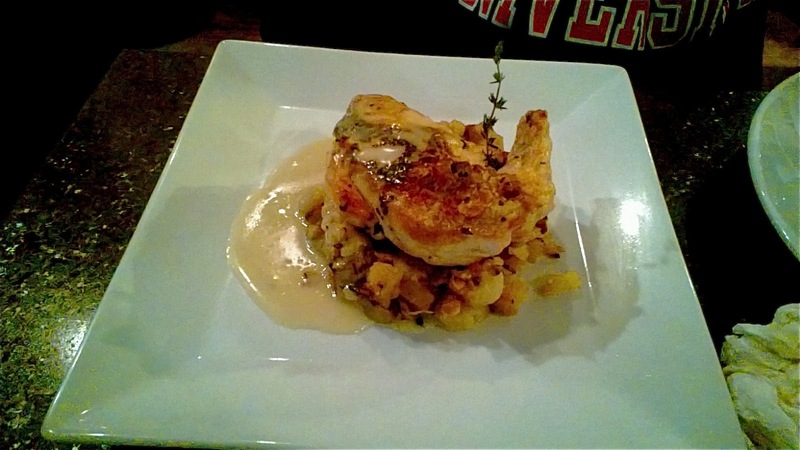 Pike ordered the Pan Seared Chicken Breast. The chicken was cooked to give it a crisp, but tasty golden crust, on a bed of sauteed potatoes, smoked bacon, and leek in a sherry cream sauce. It was quite good, and he loved it. I thought that the chicken was too dry. Maybe it was an off day. I'm sure we'll be back and try it again. Seth ordered the Traditional Irish Stew. Lamb, potatoes, pearl onions, carrots, and celery in a Harp ale broth. It was traditional. I didn't think it was bad; I didn't think that it broke any new ground or stood out from other stews, either. 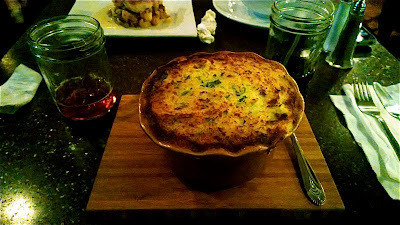 My first entree was disappointing, a Shepherd's Pie made from angus beef, peas, carrots, under a mashed potato top. I normally love shepherd's pie, but if the chicken breast was just a wee bit too dry, the shepherd's pie was as parched as a Bedouin exile left to wander the Saudi desert. In contrast, the Chicken Pot Pie, made from chicken, corn, pearl onions, carrots, and celery under a puffed pastry top, was quite good... and I'm picky about my pot pie. And I liked the fresh thyme that poked out of the pastry shell. Don't dismiss it as a mere garnish. Pop off the leaves and toss 'em in. 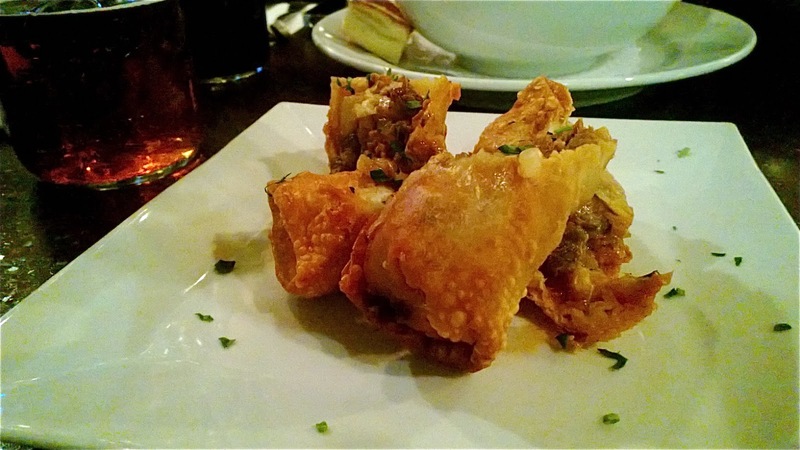 Service is exceptional and friendly, the atmosphere is spot on, the food is very good when it wants to be, and if my experience with Seth is any indication, the beer is ever flowing. I expect Banter to continue to pack them in. Good. The area needs more places like this. Appetizers average $10 and entrees average $16. Burgers and salads average $13.